Someone please find the people in the picture and put an end to this crazy illusions! 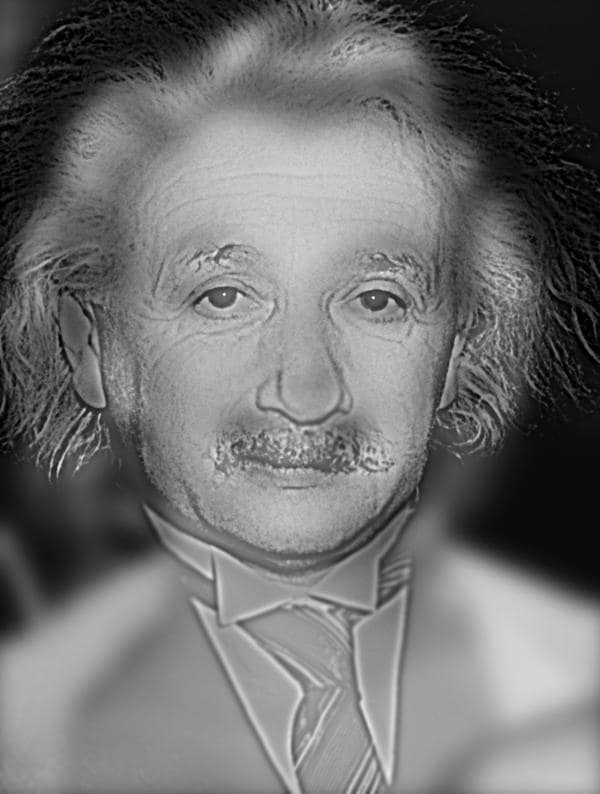 It seems like a regular picture of Albert Einstein. Or Marilyn Monroe. Or both. What do you see when you look at the image?